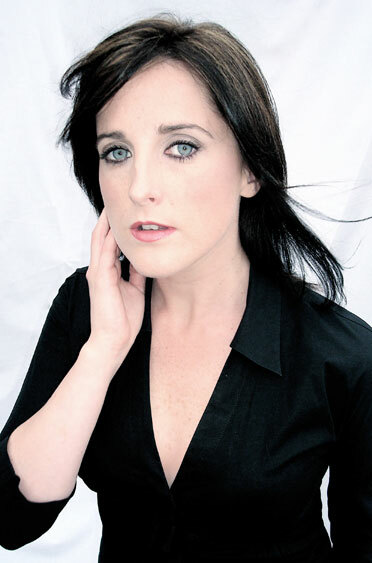 Irish soprano, Kim Sheehan graduated with honours and the Gold Medal Award for excellence from the DIT Conservatory of Music and Drama, Ireland. She then went on to receive distinction in both post-graduate diplomas in vocal studies and opera studies at the Royal College of Music’s Benjamin Britten International Opera School where she held the Veronica Mansfield scholarship supported by a Nora Popple award. Following on from this she became a young artist at the International Opera Studio in Zürich Opera House. Throughout her studies she has been kindly supported by the Arts Council of Ireland. Her operatic roles include, Dido and Aeneas (Belinda) - Theater Gera/Altenburg; Carmen (Micaela) - Lismore Music Festival, Waterford; Ariadne auf Naxos (Zerbinetta) - Theater Gera / Altenburg; Le nozze di Figaro (Susanna) - Mid Wales Opera; Die Entführung aus dem Serial (Blonde), Hansel and Gretel (Sandman/Dew Fairy) - Opera North; Rinaldo (Sirene), L’anima del Filosofo (Genio), Hansel und Gretel (Sandmännchen/Taumännchen), Die Englische Katze (Minette), Die Zauberflöte (Papagena) – Zürich Opera House; The Minotaur (Innocent cover) – ROH; Le nozze di Figaro (Susanna) L’Incoronazione di Poppea (Drusilla), L’enfant et les Sortileges, (Le Feu, Princesse, Rossingol), Die Fledermaus (Adele) Ezio, (Fulvia cover) - Royal College of Music - International opera school; La Capricciosa Coretta, (Ciprigna), L’Infedelta delusa (Vespina) - Bampton Classical Opera; Le nozze di Figaro, (Barbarina) - Grange Park Opera; Le nozze di Figaro (Susanna cover)- Garsington Opera; Il Viaggio a Reims (Contessa De Folleville), Prinzessin Brambilla (Ein Madchen), L’elisir d’amore (Adina) - Wexford Festival Opera; The Cunning Little Vixen (Vixen cover & Young Vixen) - British Youth Opera; Cosi Fan Tutte (Despina) - Opera Ireland/DIT. During her time in Ireland Kim was successful in various competitions such as John Small Bursary from Wexford Festival Opera. Dramatic Cup, Dermot Troy (Oratorio), Henry Cummings Award. - Feis Ceoil . 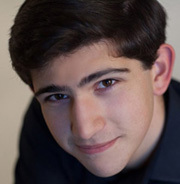 Dermot Troy (Mozart Opera), Ruth Mervyn Gold Medal for Excellence, French Song. – DIT Consevatory of Music, Soprano Solo, Morton Cup, Oratorio, and Overall Bursary, Thomas Moore and Most Promising Performer, Award for past winners - Ballymena Music Festival. Master classes include Kiri Te Kanawa, Jose Cura, Craig Rutenberg, Philip Langridge, Vera Rozsa, Sarah Walker, Iain Burnside, Bernadette Greevy, Loh Siew Tuan & Roger Vignoles. Kim has recorded Braunfels, Prinzessin Brambilla (Ein Mädchen) with Wexford Festival Opera for Naxos. Future engagements include the role of Zerbinetta, Theater Winterthur, Switzerland. At Theater Gera / Altenburg Germany she will sing Beethoven’s 9th Symphony, Sophie Der Rosenkavalier, Königin der Nacht, Die Zauberflöte and Giulietta, I Capuletti e i Montecchi. She will then sing Queen of the Night for Garsington Opera and the role of Madeleine in Opera de Bauge’s Le Postillon de Lonjumeau. At Goethe-Theater Bad Lauchstädt she will sing Rosina - Il barbiere di Seviglia in conjunction with Theater Gera / Altenburg. Kim is also proud perform in a series of Fund raising Charity events in Aid of Breast Cancer Research in London.